K-pop act Super Junior’s web reality show “SJ Returns,” which chronicled the group’s comeback preparations, is now being shown on TV. 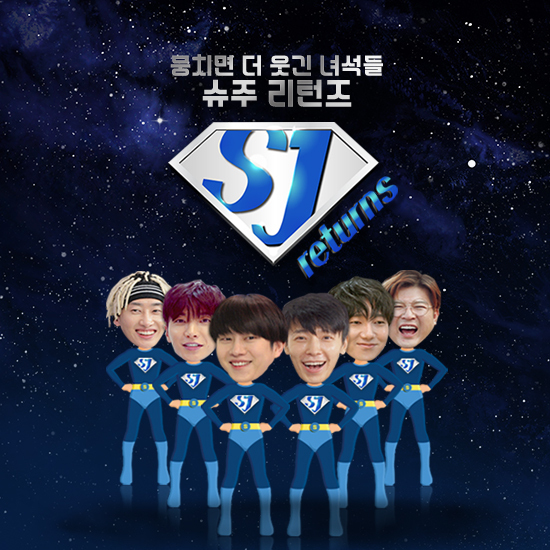 The show, which was initially streamed on the Naver TV Cast channel and the V Live channel in October, started its six-week run on the cable channel JTBC2 on Wednesday at 9 p.m.
“SJ Returns” had topped Naver V Live channel’s monthly chart with more than 24 million views. It showed how the members prepared for the new album over 120 days after a two-year break as a group. The show was also highly acclaimed by fans for showing honest and various sides of the members, aside from the album preparations. The group is also set to hold its signature concert series “Super Show 7” from Dec. 16 to 17 at Jamsil Gymnasium in Seoul.